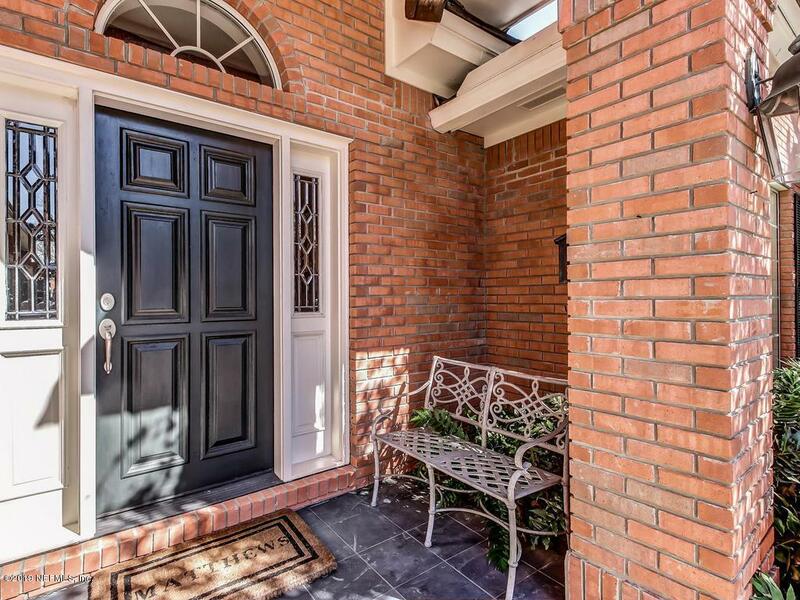 GORGEOUS 1 LEVEL BRICK HM LOCATED IN A CUL-DE-SAC STEPS FROM THE PLANTATION'S PREMIERE AMENITIES INCLUDING THE CLUB HOUSE, TENNIS CNTR, GOLF, FITNESS CNTR, CROQUET, PICKLE BALL & PLAYGROUNDS & A SHORT DISTANCE FROM THE PRIVATE BEACH HOUSE. A BEAUTIFULLY UPDATED INTERIOR FEATURES 3 BDRMS + AN OFFICE & 3 BTHS. GLEAMING MARBLE COUNTERTOPS, WOOD FLRS, HIGH CEILINGS, SPACIOUS RMS & ELEGANT MOLDINGS & TRIM. DOUBLE VIKING PROFESSIONAL OVENS & A SUB ZERO CABINET PANELED REFRIGERATOR PROVIDE THE CHEF A PLACE TO BAKE COOKIES OR BEEF BOURGUIGNON! A BUTLER PANTRY W/ GLASS FRONTED CABINETRY, WINE STORAGE & SINK MAKES ENTERTAINING EZ. 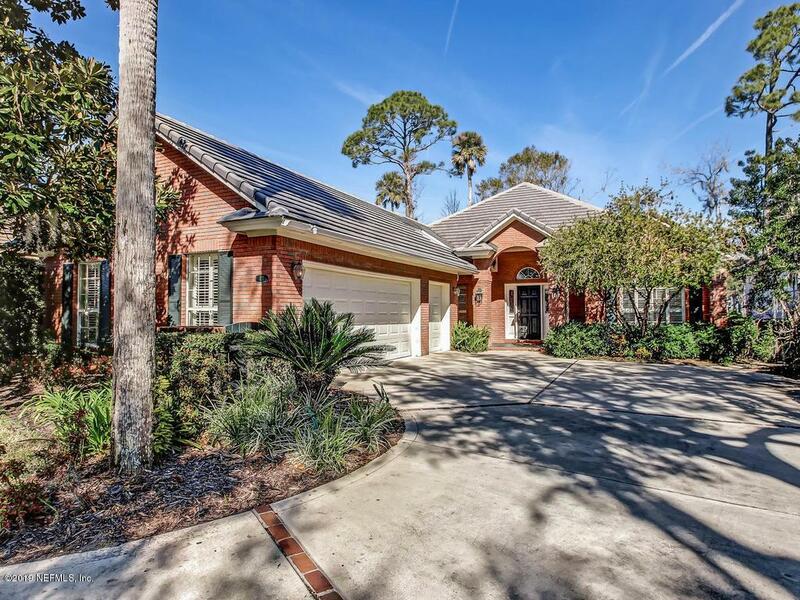 THE SPACIOUS GREAT RM OVERLOOKS A FL SUNRM W/ CATHEDRAL CEILING & ANDERSON SLIDING DOOR THAT OPENS TO A TILED PATIO OVERLOOKING LUSH VIEWS OF THE 18TH FWY. 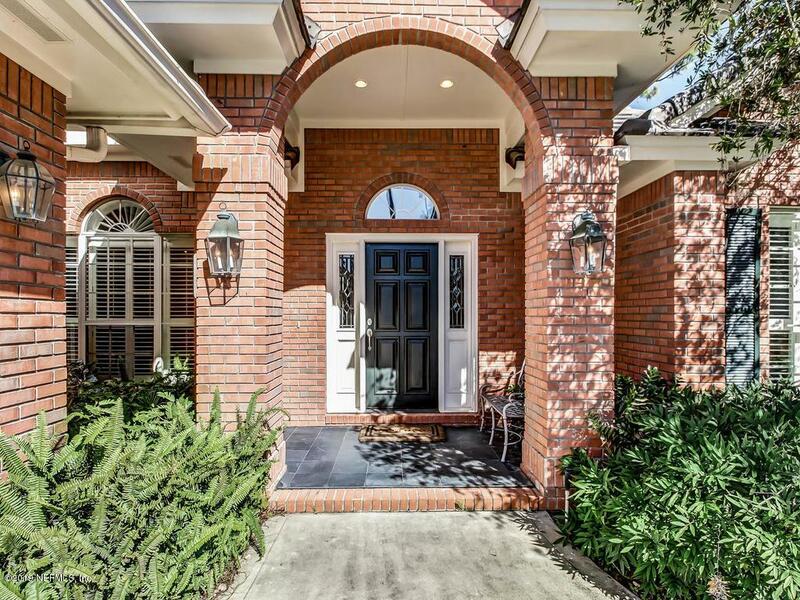 SEE MORE...111 LANTANA IS A GARDEN HOME. THE MONTHLY ASSOCIATON FEE INCLUDES LAWN MAINTENANCE. ALL BEDROOMS HAVE EN-SUITE BATHS. PLANTATION SHUTTERS, IN-CEILING SPEAKERS THROUGHOUT INCLUDING MASTER, GREAT RM, DINING RM, BREAKFAST RM & OFFICE. DINING ROOM CHANDELIER DOES NOT CONVEY. INFORMATION DEEMED RELIABLE, BUT NOT GUARANTEED, BUYER TO VERIFY ALL INFORMATION. 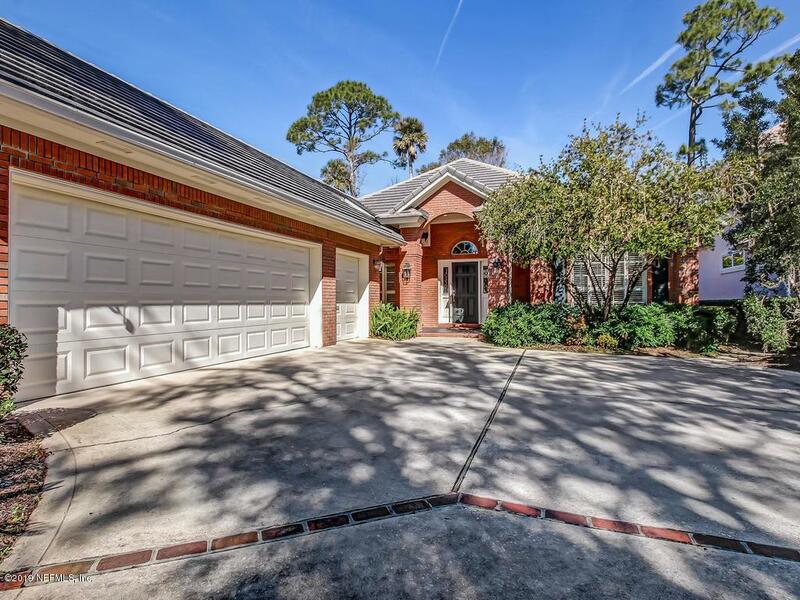 Listing courtesy of Ponte Vedra Coastal Realty, Inc..